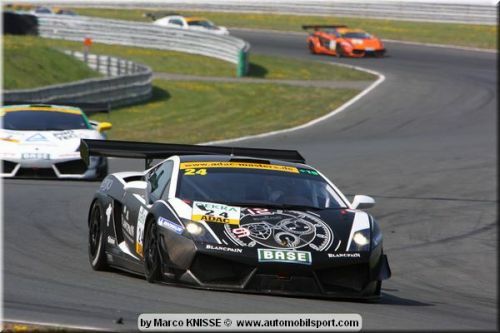 German race team Reiter secured its first victory in the 2011 ADAC GT Masters at the series season opener in Oschersleben, Germany, on 23-25 April 2011. 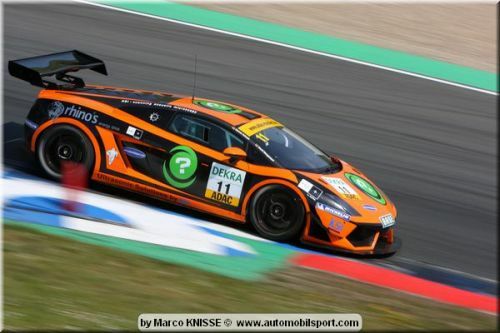 Equipped with Lamborghini Gallardo LP 600+ race cars, a development of the Lamborghini Gallardo LP 560-4, the brother pairing of Johannes and Ferdinand Stuck, sons of racing legend Hans-Joachim Stuck, climbed from sixth on the grid to claim victory. During the first qualifying session the brothers set the sixth fastest lap time of 1:30.086; however, an incident at the start of race one meant Ferdinand Stuck spun. He rejoined and began making his way back through the pack, with Johannes Stuck taking over to eventually cross the line 23rd. Lamborghini race cars dominated the second qualifying session. Frank Kechele and Tanku Hammam Sulong set the pole time of 1:28.634, while Peter Kox and Marc A. Hayek were second fastest with set a lap time of 1:29.143. The Stuck brothers secured sixth on the grid after setting a time of 1:29.638. A technical issue at the start of the race meant Kechele had to retire, allowing Kox to take the lead. During the pit-stops Kox handed over to Hayek with Ferdinand Stuck second. Unfortunately a puncture meant Hayek was forced to retire from the race, putting Ferdinand Stuck at the head of the field. The younger Stuck, Ferdinand, maintained position to secure victory, the first for Reiter and Lamborghini in 2011. The Stuck brothers currently sit seventh and eighth in the drivers’ standings, while Reiter is currently fourth in the teams’ standings. 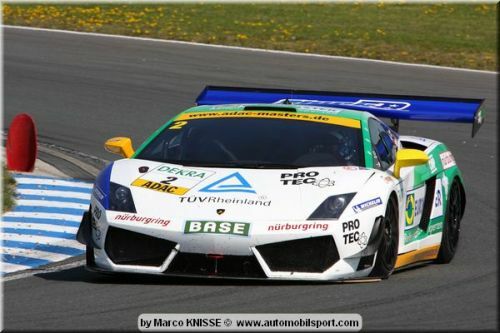 Also contested this weekend was the Championnat de France FFSA GT, where French drivers Jean-Claude Lagniez and Julien Piguet claimed fourth and fifth-place finishes behind the wheel of their Lamborghini Gallardo LP 560-4 at Nogaro, France, on 24-25 April 2011. The Team Ciné Cascade pilots secured seventh-place starts for each race and put in strong drives to improve their position in both. Meanwhile, in the FFSA GT Gentleman Trophy class, Christian Philippon and Franck Labescat secured the race one win in the #45 Espace Racing Lamborghini Gallardo LP 560-4, while Ruffier Racing drivers Christian Demigneux and Patrick Lauber drove their Lamborghini Gallardo LP 560-4 to victory in race two. The next ADAC GT Masters event takes place at Sachsenring on 13-15 May 2011, which coincides with rounds five and six of the Championnat de France FFSA GT event at Dijon, France. Lamborghini's motorsport heritage has been recently enhanced with the launch of the Lamborghini Blancpain Super Trofeo, as well as entries in FIA GT1 World Championship and GT3 championships. The world's fastest one-make series, the Lamborghini Blancpain Super Trofeo, was launched in October 2008 and was followed by two highly-competitive seasons in 2009 and 2010. This year, the season will take place over six race weekends competing at circuits across Europe, supporting series such as the FIA GT1 World Championship and the ADAC GT Masters.